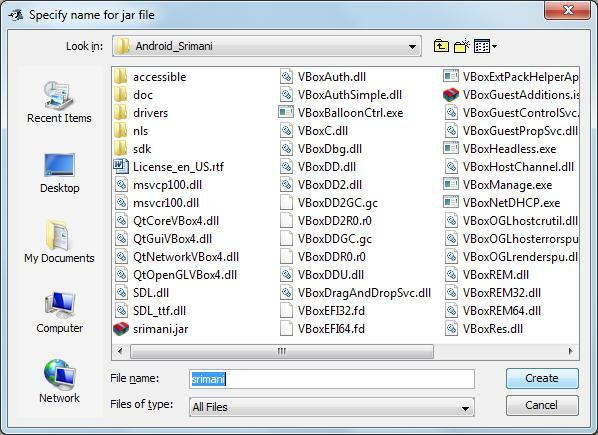 The jar file is generally created with different types of process in different software and java editor platform base. In this article we will discuss about the Java jar file creation process in details. The java programming model works with the jar file creation process. This jar file generally created with different types of process in different software and java editor platform base. 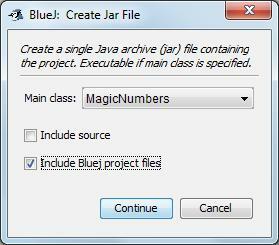 We can also create the jar file through Blue Java environment, Eclipse, Net beans and also other systems. To open a jar file in Windows we will either need a copy of the Java Runtime Environment to run the file, or decompression software such as an unzip utility if we want to view one of the files within it. A jar file is much like a zip file formation model which contains multiple files within it. Here we are discussing about BlueJava and Eclipse base technology and this technology also supports the jar file creation. Now I will discuss the procedure that supports to create jar file in the BlueJava platform through step by step procedure. At first click on Project menu -> Click to Create jar file option. After that just Go to Continue button and the following window will be opened and save the file with a given name. After that click on create button option and automatically it will generate the file. Double click on the file and run it. This point should be remembered that we can also transfer *.jar file to *.exe file. This article adapts to user about Java and the processing in your computer. This is also not an Eclipse article. Generally these types of article just cover the different ways of work processing in Eclipse platform. This article outlines how to manually set-up a Processing project in Eclipse. We are recommending that check out the Eclipse Plug-in prolapsing that is designed to make working with Processing in Eclipse which is much easier for the users. 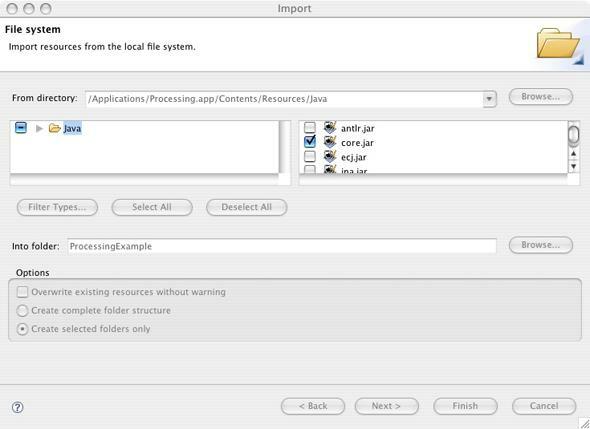 This is the first step for the creation process of the jar file in the Eclipse software so we have to download the "Eclipse IDE for Java Developers" from http://www.eclipse.org/downloads/ URL. When we run first the eclipse IDE (Integrated Development Environment) it will generate a workspace directory. This is the directory where we can store our project files, so pick something reasonable that should be remembered. This is the next process after installation of the Eclipse software. Just double click on the exe file and install in the system. If we want to see a Welcome screen, just go fast and close it. Then go to File --> New Project and select "Java Project." Click Next. Enter our project name (for example, "mrbool") and select "Finish." The Eclipse IDE doesn't know anything about the processing so we have to go and get the processing libraries ourselves. Another way to do this is by pointing Eclipse to Processing the "core library" directory and it is sometimes a good idea to copy the necessary processing files into the project folder itself so that everything stays together and goes to the: File --> Import --> General --> File System. Click next and Click browse and find the processing application. On Windows we will then want to look inside the directory called "lib" but if we are working in the Mac system(for Processing 2.0) we will have to go inside the application's "package contents": Processing->Contents->Resources->Java. Select the file "core.jar" inside the "library" folder. We should now see "core.jar" listed under our project in the package explorer. The "core.jar" file should now appear with a jar icon. This point should be noted that the right-click option will only show up in the "Package Explorer." Enter a class name like "mrbool" and click finish. Eclipse may think about the use of the default package which is always discouraged. Basically the package in Java provides a nice means for organizing our classes and this is a good thing for us also. However for just getting this example working and we can easily remove our idea from the concept of the package in the java programming model structure. Write setup() and draw() This is also "public" for these Processing functions. Generally we are often going to run our code as a Java application which is better than applet and turn on processing present mode. We can do this by adding a main() function to our code. This point should be noted that the String "mrbool" must match the name of our class and if it is in a package should include the package i.e. packagename.mrbool. Now I will discuss the following few commands that can be used to create/view/modify/execute a JAR file using Java command line utilities and Java Virtual Method. This point should be noted that we have used v (verbose) option to see the detail of JAR. In order to create the executable JAR file, one of the classes that we include in our JAR must be a main class. Also note that we have to specify fully qualified class name in the system. After that we should use the following command to create an executable JAR file. After discussing the above scenario we can take a decision that jar file creation is very much important for our software development architecture. Because when we wish to send software to our respective client then we must think that it should be easily integrated in the project to the client machine. So executable file or jar file takes a very standard role in the development area. It is true that if we do not use the jar file or executable file in our programming model then it will be difficult during application development and integration.